This is an exciting opportunity to lead the private office of the BEIS CSA and Director General, Professor John Loughhead and experience working in high profile and frequently demanding areas at the interface between science and policy across a diverse range of topics including product safety, nuclear, and International science and innovation collaboration. The post holder will be responsible for the provision of high quality support to the CSA to enable him to achieve his objectives and enhance his impact. To do this they need to understand the motivations, priorities and values of the CSA and work as an extension of them both within and outside of BEIS and accurately communicate his views to others and others’ views to him, concisely and accurately. The role requires tact, resourcefulness, a proactive, problem-solving mind-set and tenacity. Further information, and to apply. Are you looking for an exciting opportunity in a programme management role? Could you deliver innovative science and technology for transport security? We are looking for a leader for the FASS & Innovation team in DfT. This is a stretching Grade 7 role with significant budget and team leadership responsibility. This role is advertised across the Civil Service. Two exciting senior science adviser roles are available at DfT. 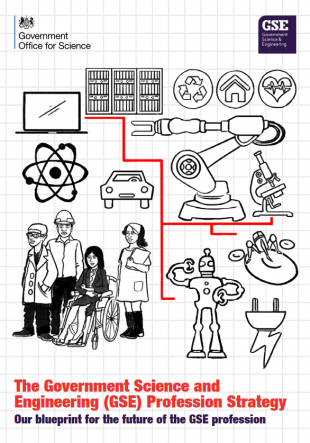 This is a fantastic opportunity to work with the Chief Scientific Adviser on the cutting edge of transport science and technology, and to help deliver change that will influence UK productivity and growth and the everyday lives of people in our country. You will play a pivotal role in helping us meet the challenges and opportunities associated with transport science and technology, of which recent work has included thinking around autonomous vehicles, low carbon transport, air quality, the future of flight, digital transport and robotic and modular construction. Thanks to Civil Service Live volunteers! 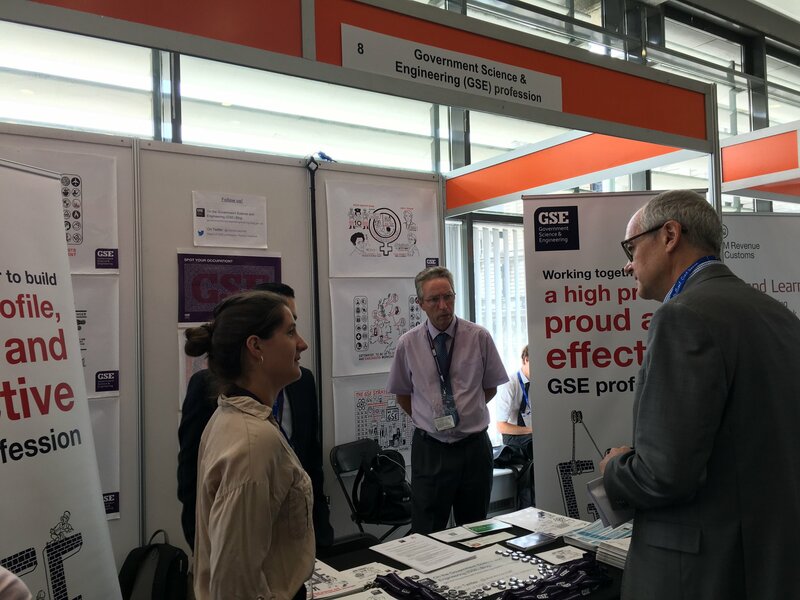 We would like to take this opportunity to say thank you to the GSE members who kindly volunteered their time to be on the GSE stand at Civil Service Live events across the country during June and July. The stand was featured at six venues, in Glasgow, Birmingham, Blackpool, Cardiff, Newcastle and London, and was often very busy with civil servants wanting to learn more about the profession. Having GSE members there to talk to visitors was very helpful, and was a great demonstration of the broad range of careers available in government to those with science and engineering backgrounds. 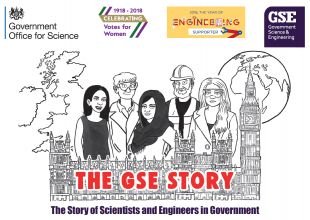 Last week, Head of GSE Profession, Dr Patrick Vallance, wrote a Civil Service blog about the importance of science and engineering in government. He discussed the wide-ranging areas where science is playing – and will continue to play – a crucial role, including in Industrial Strategy, Brexit and the Grand Challenge Missions, and talked about harnessing the power of the 10,000-strong GSE Profession. If you didn't get a chance to read it, you can find it here. The Royal Society is hosting a conference about research culture on 29-30 October, 2018, and GSE members are invited to attend. The event, featuring panellists and speakers, will provide an opportunity to think creatively about how the culture of research can be different, to share and build on best practice across the sector, and to develop new networks with individuals across the research landscape. Across the two days, you will be invited to explore how the system and the behaviours of individuals in it can help to catalyse change. The conference will be the culmination of the Royal Society’s two-year programme on research culture. Further information, and to sign up. 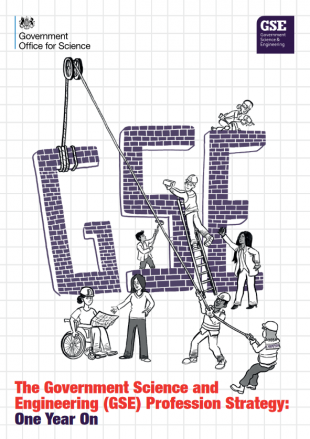 If you have an opportunity to offer other GSE members, we would like to hear from you in the form of a blog. We are looking to feature content from as wide a variety of departments and organisations across government as possible. 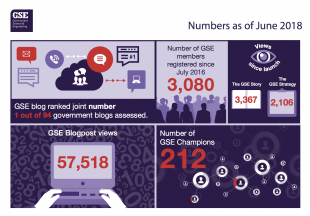 If you have an idea for a blog, of around 400 words, please get in touch at gse@go-science.gov.uk for more information. Featured photo by Belinda Fewings on Unsplash.